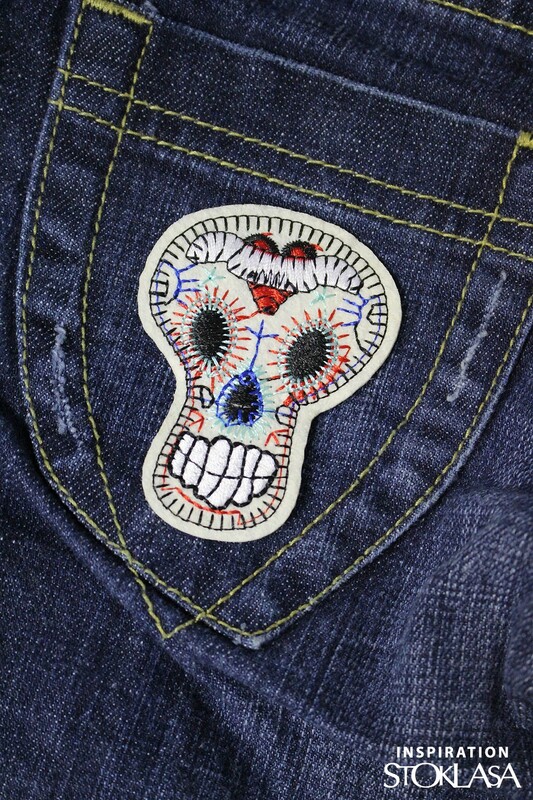 Iron-on patch with skull theme has a quality, detailed embroidery. Usage: The iron-on patch excels on both clothing and fashion accessories. It serves not only to cover small imperfections and holes in textiles, but is most often used to decorate garments, jeans, caps, backpacks and bags. Dimensions No. 1 - 7.7 x 9.5 cm. Dimensions No. 2 - 5,2 x 7,7 cm. Dimensions No. 3 - 7 x 8.5 cm. Dimensions No. 4 - 7.8 x 7.8 cm. Dimensions No. 5 - 7,3 x 7 cm. Dimensions No. 6 - diameter 6.2 cm. Dimensions No. 7 - 6.3 x 8.5 cm. Dimensions No. 8 - 8.8 x 5.5 cm. Dimensions No. 9 - 10.5 x 10.5 cm. Veți primi: 0 pachet(e) de 90 buc.